Florida Orthopedic Foot & Ankle Center and Spine, Sports and Physical Medicine in Sarasota, FL uses regenerative therapies to treat a variety of orthopedic injuries and conditions, ranging from back pain to heel pain. The conditions we treat include osteoarthritis, partial tendon and ligament tears and muscle tears. All injections are done with ultrasound guidance to precisely place the injection in the correct location. Stem cell therapy has been recognized by the medical industry worldwide as the biggest breakthrough in natural healing. Stem cells have regenerative power; when they are injected into an area that needs healing, your body’s natural response is to accelerate the process and repair the damage. It is a non-surgical procedure involving the extraction and injection of your own naturally occurring stem cells. We concentrate stem cells from bone marrow which can be done in the office or a surgery center. Stem cell therapy has successfully treated a wide range of orthopedic conditions, including soft tissue injuries involving tendons and ligaments, arthritis, muscle strains and some nerve issues. Most patients experience minimal discomfort and return to normal activities within a few days. Results of stem cell therapy include accelerated healing, and for many patients, pain relief that can last for years and, in some soft tissue injuries may be permanent. If you have a tendon or ligament injury, muscle injury, joint damage, nerve pain, you may be a candidate. If you are not getting the results you need from your current treatment plan and you want to avoid surgery, then you owe it to yourself to investigate stem cell therapy. Not everyone is a candidate – if you have active cancer or infection, a history of lymphoma, or are taking certain blood thinners, this therapy may not be suitable for you. Dr. Cottom or Dr. Diaz will evaluate your pain and determine the chance of success with regenerative therapies. Platelet-rich plasma, or PRP, is a revolutionary and conservative approach to natural healing for a host of orthopedic conditions and athletic injuries. PRP therapy makes it possible to potentially avoid surgery and return to sports and work quicker. Many professional athletes have tried PRP therapy with successful outcomes. PRP therapy is a low-risk, non-invasive treatment. It can help orthopedic conditions like arthritis, tendon injuries, and ligament injuries anywhere in the body. It also benefits people who are not candidates for surgery or want to avoid surgery due to age, health, or other concerns. Does PRP Therapy Treat My Condition? 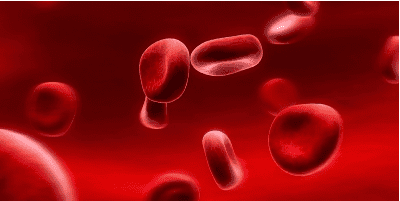 PRP therapy uses your own blood cells to stimulate the natural healing process. First, we draw a small amount of blood and spin it in a specialized FDA-approved device to separate the platelets and growth factors. The concentrated platelets found in PRP contain large reservoirs of bioactive proteins, including growth factors that are essential to initiate and accelerate tissue repair and regeneration. Next, we numb the areas to be treated with an anesthetic injection. Using ultrasound guidance for targeted placement, we then inject the platelets and their growth factors into the damaged tissue. 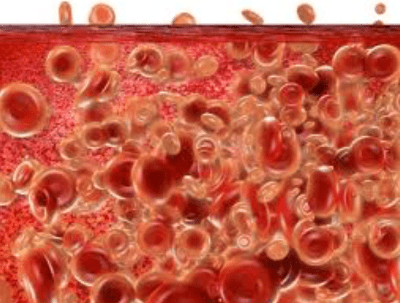 The high concentration of platelets signals the body that there is injured tissue to be healed and attracts healing cells to the area to jump start the repair process. For minor soft tissue injuries, the body is usually able to send in enough healing cells to repair the injury. Often PRP must be combined with Interfyl which is an extracellular matrix. Whether this additional graft is necessary depends on the site being treated and the severity of the injured/diseased tissue. Only you and your doctor can decide if PRP is right for you. If you want to avoid surgery and get long-lasting pain relief, we encourage you to learn more about regenerative therapy and talk to an expert. For some orthopedic problems, we must help the body by directly injecting autologous (your own) stem cells into the injured or diseased area. 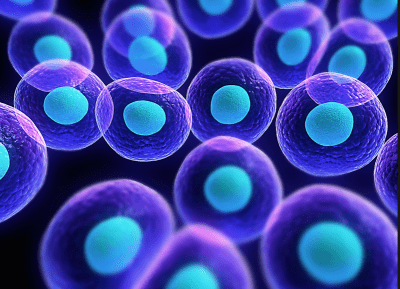 The type of stem cells involved in tissue repair are called mesenchymal stem cells, or MSCs. The FDA allows us to concentrate stem cells from your bone marrow. Although fat is a great source of stem cells the FDA guidelines prohibit doctors in the US from using fat for stem cell purposes. Most patients feel that this is minimally painful. A bone marrow aspirate is typically done by taking a small amount of bone marrow from your heel, tibia or pelvis. After numbing the area thoroughly with local anesthetic, we insert a special needle called a cannula and syringe to draw out the bone marrow. After extraction, we prepare a bone marrow concentrate by centrifugation and cellular phoresis. We also have a new needle that allows us to draw bone marrow without spinning in a centerfuge! This gives us a predictable number of stem cells and growth factors. Using ultrasound guidance or fluoroscopy to ensure the precise target, we inject the concentrated cells into the area that needs healing. We have treated patients from all over the country and international patients who demand the most innovative and technology up to date medicine for their musculoskeletal health. There is a high demand for these treatments.